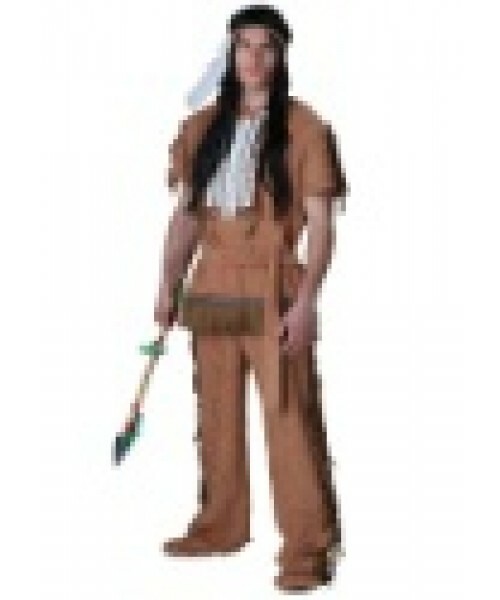 Become a legendary Native American hero with our Plus Size Indian Costume! You can wear this for Halloween, of course, or for Thanksgiving! Warriors aren't born! They're forged through sheer will-power, deadly skills and a really cool warrior outfit. This Plus Size Indian Costume brings you the kind of look you need to set your warrior's spirit on fire. 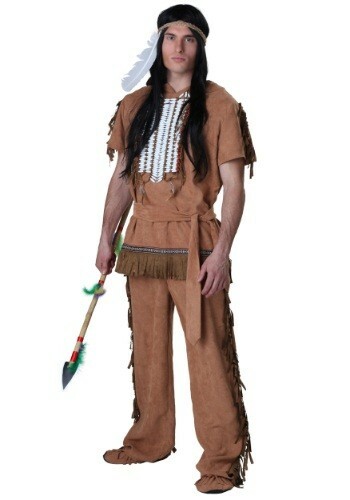 Of course, if you don't quite have your warrior spirit ready, this outfit still looks great for reenactments and Thanksgiving while you continue honing it.